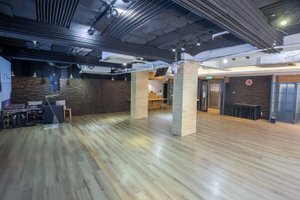 This contemporary event venue is advantageously located in the affluent area of Wan Chai close to the MTR station. It is a great venue for a Corporate Event. With a subtle entrance and equipped with sufficient lighting, the event space has a well-lit atmosphere. 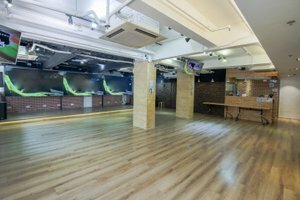 The interiors are nice and creative with white walls and wooden floors, giving the event space a bright feel. With facilities including chairs, an enormous television, a sound and audio system, etc. 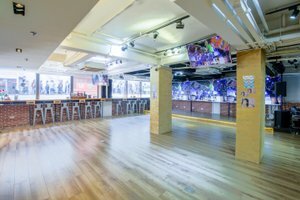 This event space can accommodate a range of corporate events. 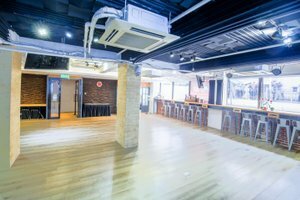 Surrounded by shopping centres and located near the MTR station, this event space is great for brands or corporations to host unforgettable corporate events in an iconic setting.